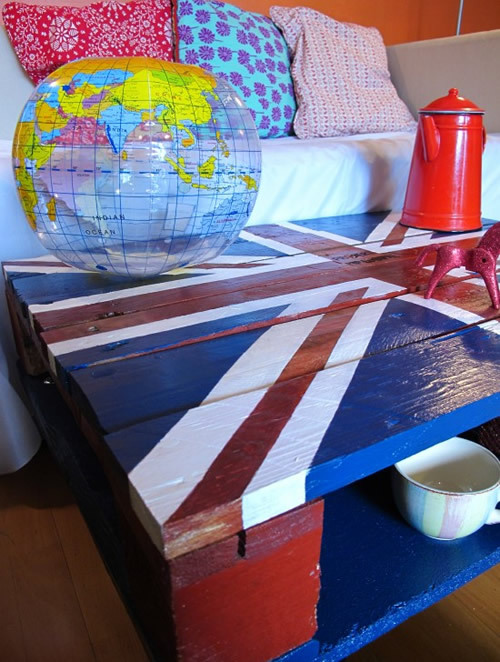 Britain has certainly been on our minds with the Royal Wedding, but long before that, the Union Jack was already strong in the decor world, and definitely in the blogosphere. A true design icon. 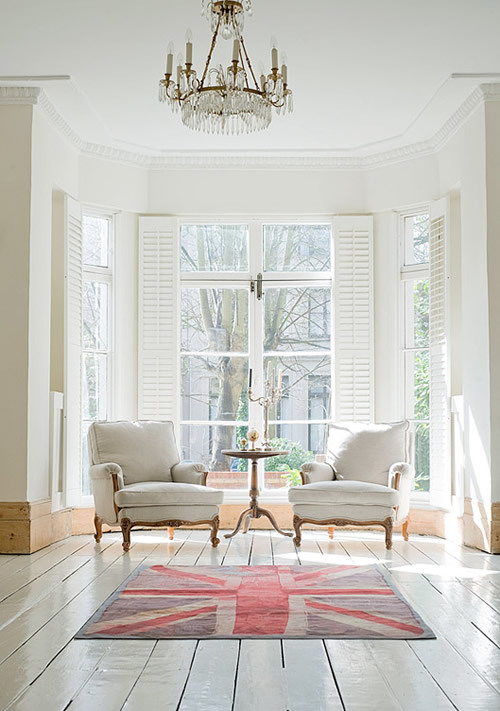 How pretty is this living room from 1st option ? This one I had already posted, but don't blame me. 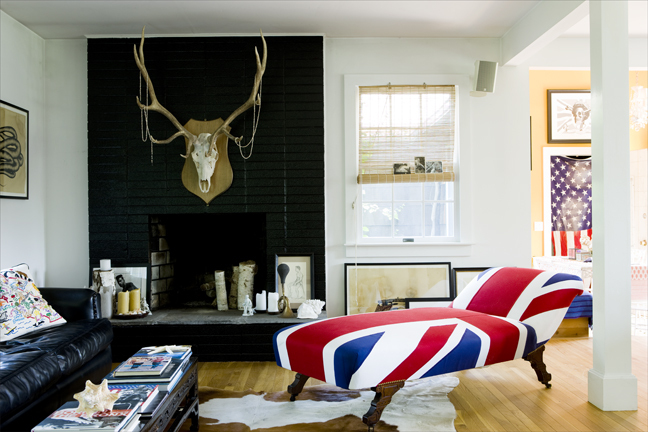 It's definitely one of my all-time favorite living rooms. 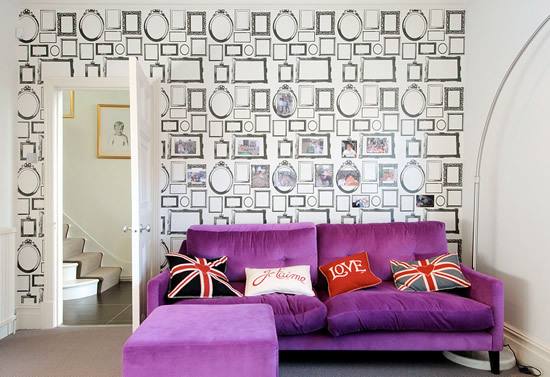 It's from the British edition of adore home. 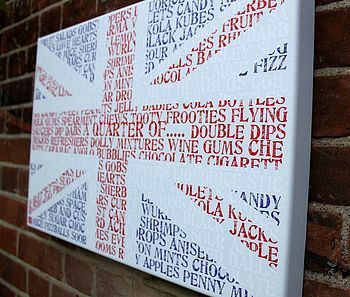 I like the simplicity of this canvas. And so cute. From Swings & Pretty Things via Not On The High Street. This fresh pillow has softer colors and lovely patterns. 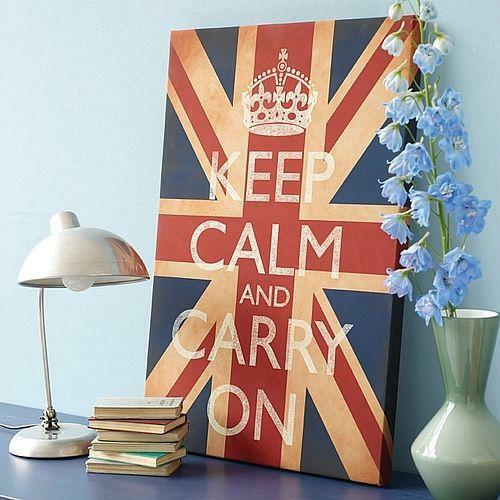 And finally, nothing as British as the good old "Keep Calm and Carry On". I know using the flag is something very popular in the US and Britain, but that's not the same thing here in Mexico. The way we treat our flag is different. 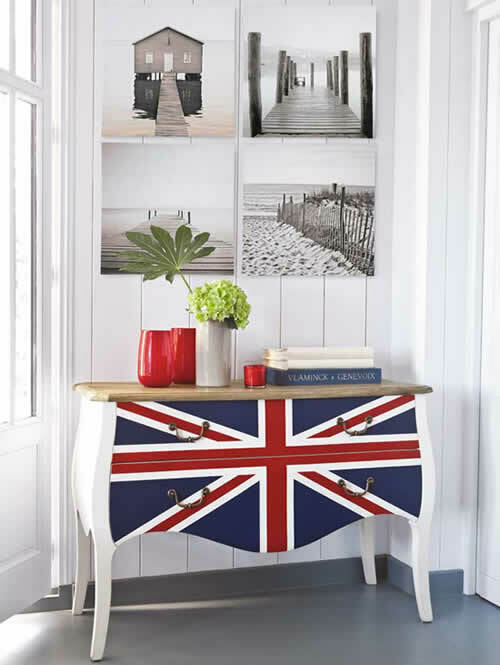 But I love the Union Jack thing. 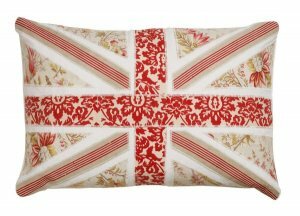 I'm thinking of getting (or making) a pillow for my living room, or going for the "Keep Calm" poster. Something like that would seriously work around here.